Best in the Business since 1992! Our goal is to provide outstanding overseas container service in a timely, efficient and professional manner. 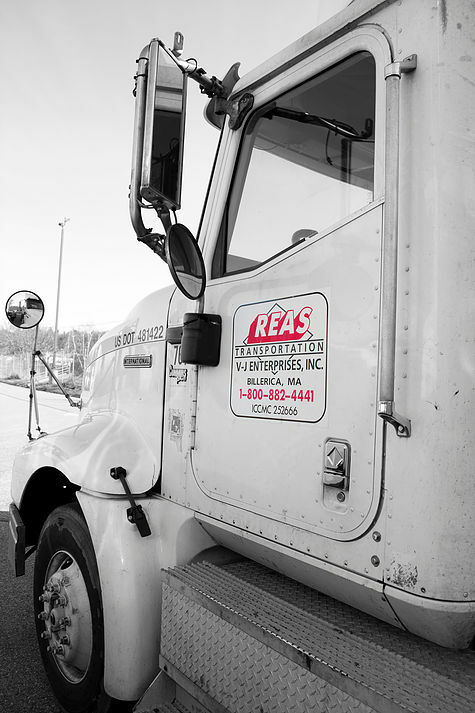 Our customers appreciate our on time service, friendly drivers and efficient office staff. We strive to always be available for last minute deliveries. We service all locations throughout New England. Currently, we own 33 Tractors and a fleet of Chassis, including 20 & 40ft Triaxles, which allows us to continue to offer the best service to our customers. You can also contact us at our e-mail address: dispatch@reastrans.com or visit our Staff page for a list of departments and e-mail contacts.